Competency management can sometimes be daunting. Implementing a new system in your organization can be a tedious process. There can be setbacks along the way, but have no fear, not only can we guide you in simple steps to set up your system, but we want you to learn from the common mistakes that we’ve seen. 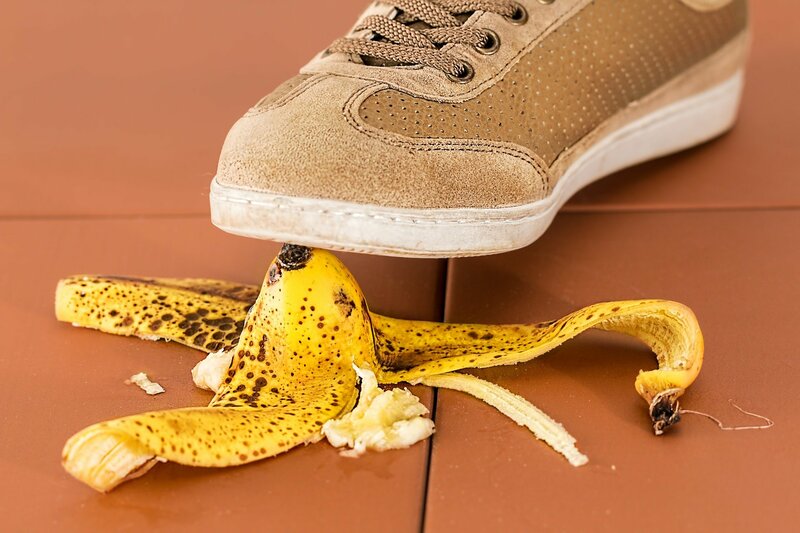 Here are five of the most common competency management missteps. There’s nothing wrong with being ambitious or following a “sink or swim” approach but when it comes to implementing a new competency management system it’s risky to try and do it all at once. One of the top competency management missteps is going too big, too fast. Think of rolling out your competency management system as a fine multi-course dinner, rather than an all-you-can-eat buffet. You want a well-curated, sensical approach that is unveiled piece by piece, rather than a disordered smorgasbord that will leave your HR and management teams feeling like they have a massive mess to clean up. It is vital to implement your new competency management system in step by step measures that make sense for your company. Start with a smaller project that can be designed and implemented in a relatively short period. You can then use this as a model in future projects for what worked and what might need some more fine-tuning. Also remember to keep this first step simple, focused and well-defined. Identify key roles, job duties and employee skills that are most vital to your company initially. From there you can build upon your successes and avoid further competency management missteps. One of the most common missteps in competency management is an abuse and misuse of language and logic. Some companies can create too many levels, while others simply create too many competencies. Still, others can have run-on competencies and redundant competencies. All of these missteps overcomplicate, confuse and muddle competency management. Your organization will want to identify the most essential competency profiles and from there, only the most necessary competency lists. Adding too many competencies will drown your system in a flood of complication. In addition to a simplified number, simplified words are needed. 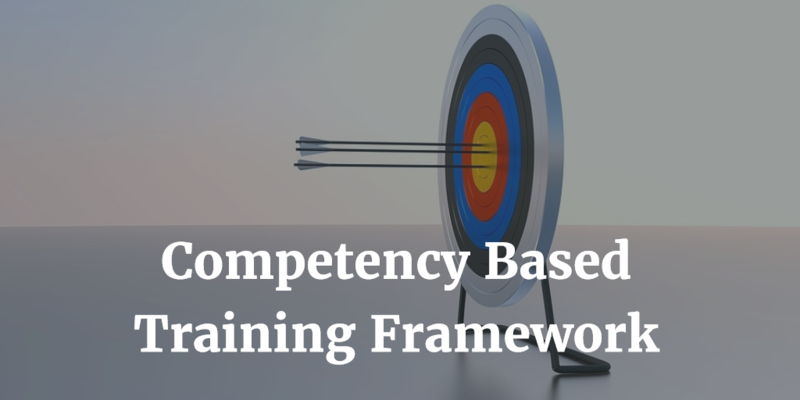 Many competencies can be misconstrued through poorly worded, jargon-filled, unclear language. Be simple, be specific and avoid repeating synonymous competencies. Competency management is not a one-size-fits-all solution. 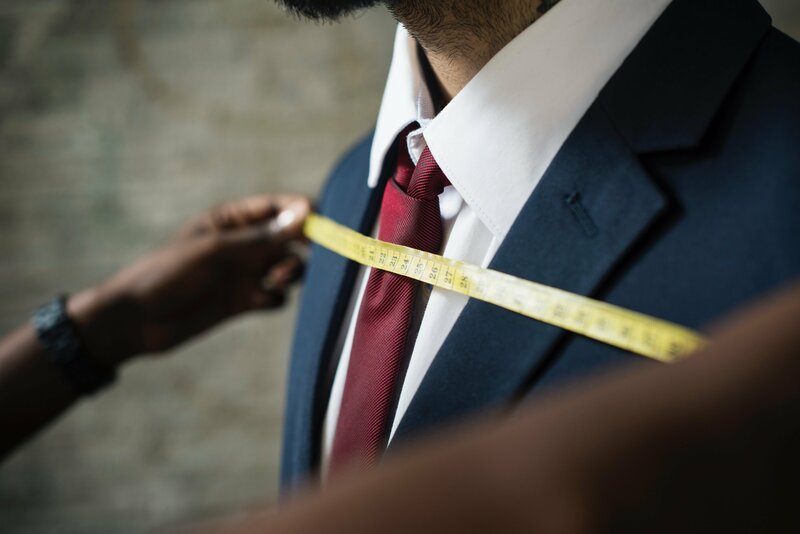 If you want the most out of the information and analytics of your system, it must be tailored to meet your company’s needs. You’ll need to look both inside and outside your organization for meaningful data that can power your competencies. You don’t have to reinvent the wheel, however. There are many sources within your industry, governmental agencies and even in your own organization that can lead you to the specific competencies that matter to you. Once identified and adapted to an organization’s needs, key skills and competencies can actually lead to major growth, adaptations and saving money for many companies. Organizations can find that certain teams are repeating work unnecessarily or key tasks are falling by the wayside. By customizing competencies, you can also prevent further content management missteps. When designing the structure of your competency management system you want to lead with a model of accessibility. You want the system to be usable. Consider everyone in the company, from the bottom to the top, and remember that not everyone will have the same intricate knowledge of the system. 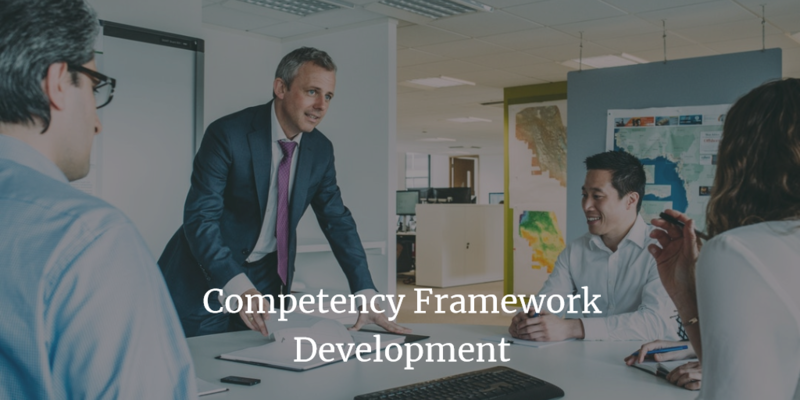 You don’t want your competency model growing into a massive overload of information that only one or two people in your company can sift through. While usability should always be first and foremost, businesses must also consider growth. Built into the smaller pilot model should be a model for growth as more departments, skills and competencies are added. Like any sound structure you want your competency profiles to build from level to level to avoid competency management missteps. Take care with the structure that you are setting as the foundation so that you are not building a house of cards. As with any new system, there will be trials, errors, successes and modifications necessary. There will be competency management missteps, but there are ways to ensure your footing as well. Just as an organization is always growing and adapting, a management system will also need to continue to evolve. Throughout the process of implementation, it will be crucial to interview, and continue to ask questions and solicit feedback (even criticism) from employees and management. Starting small and slowly gaining momentum will involve testing, re-testing and constant data analysis. Finally, it is not always easy to see a competency management system implemented, even without the missteps. Ensuring that there is a devoted team to the project will help see the system through. Additionally, don’t let this team become isolated and so focused on their task that they miss out on the feedback from employees directly affected by the management system. Following through means listening to feedback and criticism, making modifications when necessary, starting small and building a solid structure. Are you having competency management missteps and need some questions answered? Reach out. Did you make missteps along the way that other people can learn from? Share your advice. Times are good in the U.S. economy and in the workforce. It’s hard to imagine there could be any downsides to this boom, but for many small and medium-sized businesses competing with large enterprises and corporations, attracting, retaining and investing in talent becomes a big challenge. The solution for small and medium-sized businesses to keep their competitive edge lies in talent management software. 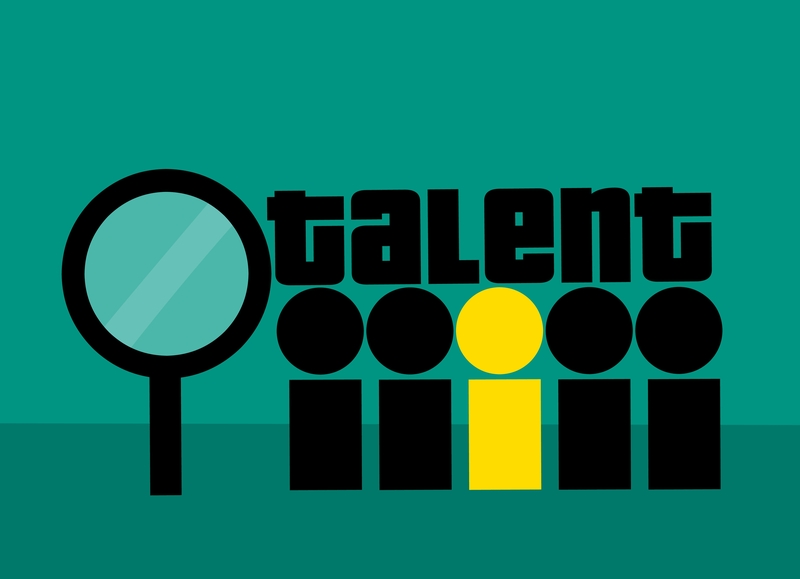 Talent management software is a tool to manage talent that automates, consolidates and streamlines talent management. It is a vital component to any sized business. Talent management software focuses on employee recruiting, development, performance management, compensation and succession planning. All of which are crucial in keeping businesses thriving and holding on to their most vital resource: employees. We’ve added nearly three million jobs in the last couple years and we have the lowest unemployment rate in 18 years.This is all fantastic news, right? In many respects, yes, but as more and more people find jobs, the market becomes talent-driven and large businesses with the capital often siphon off the best talent. As that talent pool evaporates, small and medium-sized businesses (SMB) are facing a crisis in talent management. Talent management software can sometimes make the difference in whether SMBs sink or swim in this new market. According to the State of Small Business Report, 50% of SMB owners report that hiring new employees was one of their top challenges. Hiring is a tough, time consuming and expensive process. Employee turnover is high, 32% total separations was the national average in 2017, according to Mercer. This is a big cost for businesses already struggling with human capital management. 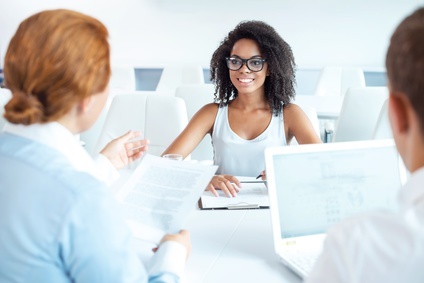 It is often a monumental task for HR departments and managers to effectively manage constantly evolving industries, technologies and work culture shifts, while also interviewing and managing new hires. HR departments stay small as companies grow and it is often improbable, if not impossible, to effectively manage talent with the systems used in the past. With the latest technology of talent management software, SMBs can transition talent management from a hectic, pain-filled process into a thriving environment for employees, management and owners alike. One of SMBs greatest assets is their familial workplace culture. Many employees choose to work for smaller businesses as opposed to corporations because they value relationships and employee-centered work culture. 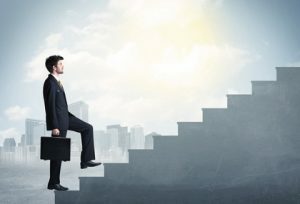 In the current economy, with competition for talent so aggressive, management is often stretched so thin with attracting and retaining their talent that they are unable to find time for those on-on-one interactions and meaningful connections that originally brought employees to SMBs in the first place. The end result, more employee turnover. In order to continue to retain and manage employees, identify areas for new trainings and employee development, HR departments and managers are finding increased resilience and new opportunities for managing human capital with talent management software. Growth is often a primary drive for SMBs. While some may be focusing on revenue growth, others may be geared toward expansion in the industry or reaching consumers on a larger level. No matter the reason or mechanism behind the growth, any sized business can benefit from talent management software. In the growth stage from small to medium-sized, or medium-sized to large, businesses want to keep their personable nature. The key to maintaining employee-manager relationships and letting HR departments most effectively do their job, of course, lies in technology. Any company’s greatest asset is its human asset. People matter, their satisfaction in the workplace matters. Happy employees often signal to the overall health of the company. 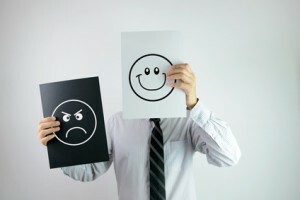 It may seem counterintuitive for a software to be able to foster the happiness and health of workplace culture, but the overwhelming majority of businesses who employ some form of talent management inevitably experience greater employee retention, and recognized the strategic value of talent management systems and software. 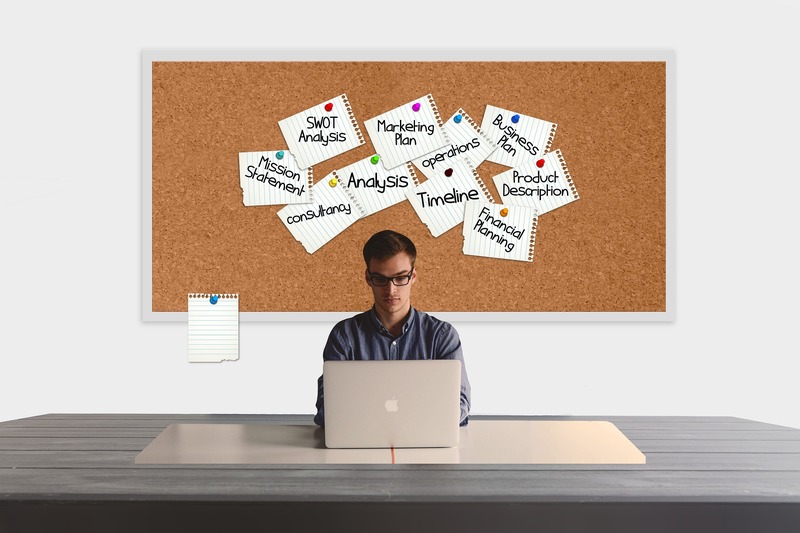 With the use of talent management software, SMBs create the framework to be able to: accurately identify employee skills, place employees on projects or in areas where their strengths can be put to best use, target key trainings that will increase productivity, identify areas for employee development, increase productivity and save time and resources for the company. Identifying the best investments for SMBs is essential for the vitality of so many organizations. Talent management software is one of the best ways to invest in the human asset of any company. Investment in technology, vs investment in the debilitating hiring process yields a far greater ROI. Talent management software is often the long term solution that business have been seeking for their employees. Contact us today for a free estimate and demo of the talent management software that will take your small or medium-sized business to the next level. How many employees does it take to change a lightbulb? Don’t worry, there’s no bad punch line coming because the answer should be simple: one. The employee with the most qualified lightbulb changing skills should be the go-to. Management should know who their lightbulb changer is, and the lightbulb changer knows her or his position because, obviously, they got hired for this crucial job. In the case of lightbulb changing, our hypothetical organization clearly knows how to define employee skills. In a perfect world, in a perfect company, employee skills perfectly match the duties and job responsibilities of each and every employee. But we all know this is not always the case and organizations do themselves and their employees a great disservice by not clearly defining employee skills. Not only could organizations maximize their investments on employees, but employees could better perform their jobs and more effectively take on projects. There’s nothing new about any of these concepts or models. The skills match the job that needs to be done. 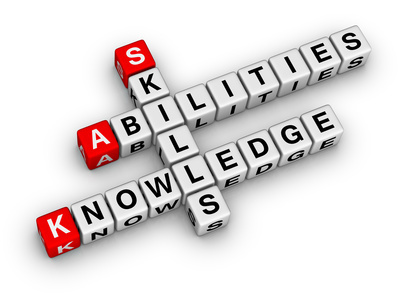 Employees come into the organization with the skills necessary or are trained according to need. But our workplace, our industries and our technologies are becoming increasingly complex and convoluted. Distilling the employee skills necessary for the job or project and the worker(s) that matches perfectly all these talents is a science unto itself. Managers in particular are having greater difficulty in putting together teams for projects and identifying and defining employee skills. To further understand the finer details and nuances of this problem, let’s look to a real-world example. Meet Elaine, she’s an IT manager for a long-standing company that is in a new growth phase. She’s been with the company for three months and she was brought on because she has a proven track record of bringing businesses with out of date systems into the modern era. Her first major project: migrating their entire old database, mostly spreadsheets, into a new Database Management System. Elaine can do this, but she’s so new, and the company’s IT department is so large, their skills so undefined, that she’s having a hard time choosing the right people for the job. She’s gotten to know a few of the personalities. Jeff has a pug and wears a different color of socks each day of the week. Jasmine likes tacos and hates the smell of mint toothpaste. But their specific skills are less clear. Everyone in the whole department has learned their niche in the company and performs their jobs with diligence, but few can describe to Elaine what it is they really do, let alone define their particular skills. Elaine, wisely, has realized the IT department’s shortcoming: how can she choose the right people for this project if she doesn’t know their abilities? And in the grand scheme of things, she needs to define these skills, the level of competency, the latest trainings, the gaps in education and certifications for each employee so that she can correctly place them in future projects. Elaine—the strong, fearless visionary that she is—realizes her company needs employee skills and competency management. With a comprehensive and systematized skills management structure in place, Elaine can create her dream team for any given project. Not only that, but she has benefitted her employees and employer in a number of invaluable ways. Elaine’s company, if they listened to her prudent suggestion and found a system to clearly define and manage employee skills, will now have alleviated and expedited a great many issues managers and employees come across every day. Your company, too, can benefit in key areas of performance, better achieving company objectives, identifying strengths and skills gaps, putting the right person in the right place and, most importantly, saving time and resources. Don’t take shots in the dark when it comes to crucial projects and investments in your business. In cases of critical management decisions, your money and energy are best invested in a comprehensive employee skills management system. Contact us for a free demo on Skills DB Pro. I was chatting with a client last week, they are spending lots of money on training and not really sure about the actual effectiveness of their spend; this conversation ended up with us spending a lot of time dissecting how to create employee development plans that really works. 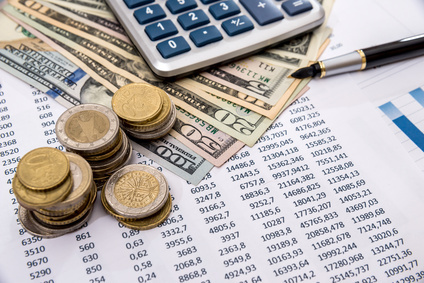 The Association for Talent Development (ATD) suggests that organizations are investing more money into employee training than ever before. In their most recent State of the Industry Report they found that companies spend an average of $1,273 per employee on direct learning courses and employee development plans. It’s easy to see why this rise in learning expenditure is the case though. According to research by PwC, the rise in learning and development costs has been spurred on by the expectations of millennials in the workplace. Apparently 35% of millennials claim that they’ll prefer an employer who offers training and employee development programs. 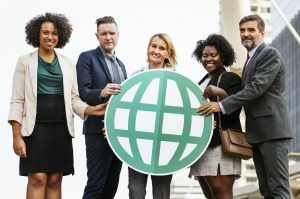 Deloitte agree with PwC, suggesting that if an organization doesn’t offer professional development opportunities they’ll have a hard time retaining their younger talent. Millenials are the most highly educated generation to date, and they’ve grown up accustomed to operating in a fast-moving world. Oh, and don’t forget that everyday they’re exposed to a workplace with lower job security than ever. Learning is crucial, not just for employees, but the organizations who employee those people. So that begs the question; how can you create employee development plans that actually work? We’ve decided to highlight five things your company can do to create effective employee development plans and ensure that they’re as effective at helping your employees learn as you need them to be. Your junior employees and trainees can learn from nobody better than someone who’s been there and done their role in the past. Incentivising managers to lead employee development programs and share their knowledge is not only beneficial for the trainee but also for the manager as it’s a prime opportunity for them to further their leadership and management skills. While it’s a good idea to put a structure in place for employee development plans, it can also be wise to allow younger employees the capacity to shape their own development plans based on their interests and career aspirations. For example, if someone on your marketing team wants to learn more about coding, your initial reaction might be to suggest they focus on marketing-related courses. However, if the marketer was interested in learning code so that they could become a UX designer in the future that might be of interest to the organization in the long term as well. Asking employees to do intense professional development on top of their already busy schedule might not be the wisest of ideas, particularly if you require the employee to be situated on-site or have to do their training with other. By offering on-demand and mobile courses, companies can make development plans more accessible and enjoyable. The way the that Baby Boomers learned their trade is quite different from the way that some Millennials approached it. Couple that with the fact that some people prefer to learn by reading while other choose to listen, or taken in more through visual learning, and you have a small conundrum! Creating employee development plans which offer people the chance to choose which learning style they prefer is a great way to not only increase the effectiveness of the plan, but also make the entire process more enjoyable and rewarding for the participants. 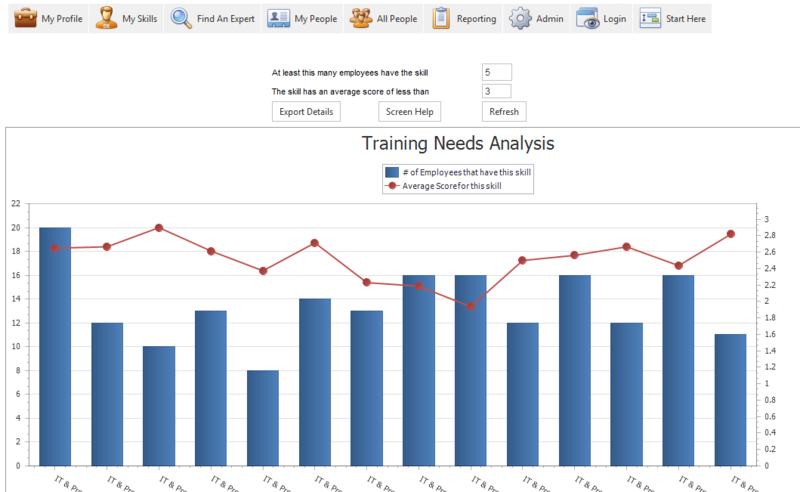 Use employee training tracking software to measure and monitor the employee development plans from start to end. Why? 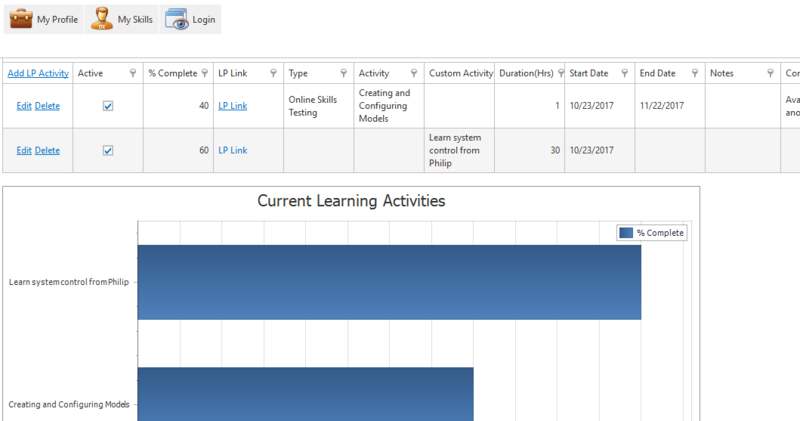 Well, you can manage and track how each employee is progressing through their plan, e.g., are they on schedule? Are they struggling on certain sections? What’s more, you can use the software to link documents and information to particular employees, as well as generating reports on performance. Any software you choose to manage employee development plans should be easy and quick for your employee to engage with. 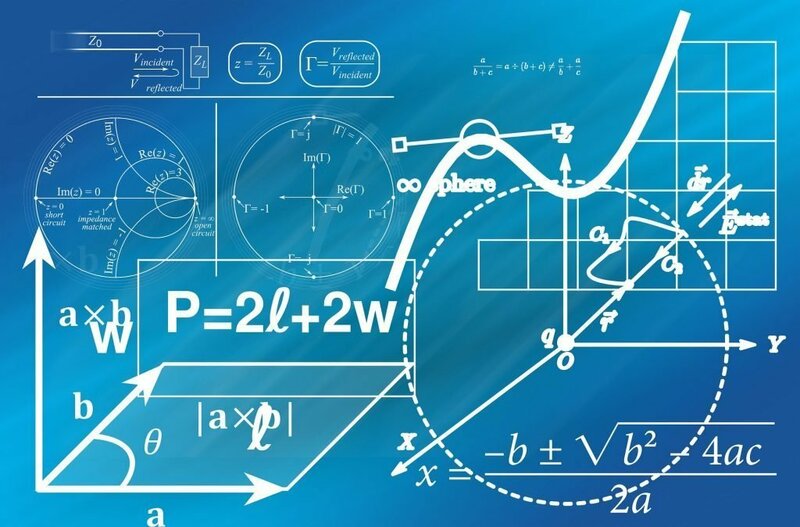 I hope that by sharing our own experiences cracking the code for effective employee development plans that make the team and skills stronger, this post helps you have better training’s, become more productive and develop a better culture as a result. Every month during client calls, we get dozens of questions about best practices for creating a successful training program. Employee Training Tracking Software implementations make up a large part of this number. In this article I will give you some tips for implementing a training tracking system with the best possible outcome. Employee retention rates increase: Research shows that new employees who experience a well-structured onboarding program are 69 percent more likely to remain at that company for at least three years. 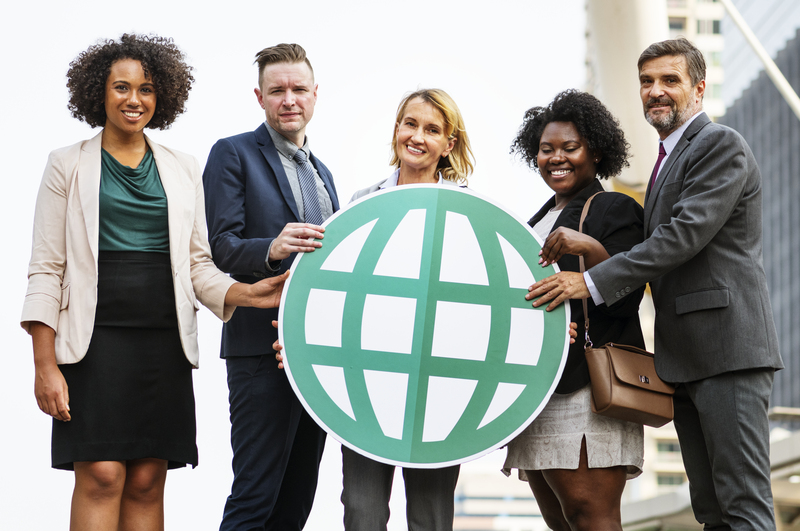 Considering millenials are going to comprise the bulk of the workforce by 2030, and that the cost of employee turnover is ever-increasing, it’s important that your business has a thorough employee training program in place. Let’s takes a look at the steps involved in building out a successful training program and implementing tracking software to measure its performance. Before you even begin design your training program you should figure out exactly what training your employees needs in order to have the most impact upon your business. Starting with a skills gap analysis will help you identify areas where the business may be currently lacking. What do you think you struggle with the most at work? How could we help your team improve its performance? Are there any interests you have outside of work that you’d like to learn more about? How will team performance improve after the completion of the program? Why will employees be in a better position to hit their targets after the program? How will the training prepare employees for future leadership roles? How will this program improve employee retention rates? Now that you’ve determined what you need from your training and what your objectives are, it’s time to put in place the process of measuring your training’s performance. What new (e.g. task, tool, skill) did you learn from the program? How will (or did) you apply this newly-acquired knowledge on the job? What did you like about the program and what should we improve (e.g. topic, methodology, instructor, material)? Over time you’ll be able to use both of these methods in tandem to help you gauge the effectiveness of your training programs. What Training Questions Do You Still Have? What did I miss? What are you still wondering? 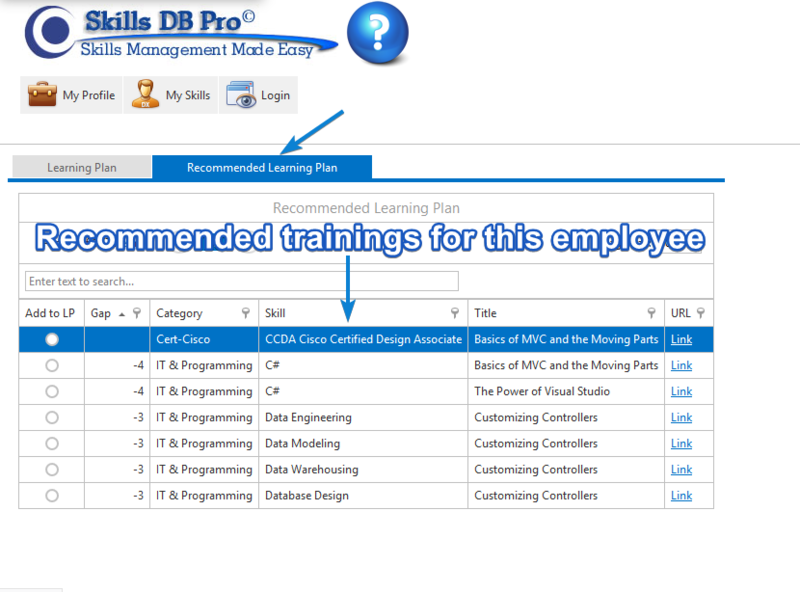 About a year ago, Skills DB Pro was at a very important point in its history. At that time, we noticed we were losing clients because they wanted a feature we did not want to implement. The feature was “permitting employees to define skills as they use their skills management system”. At that point, we knew the mess this could lead to if not done properly, so whenever this feature came up, Steve and I held our heads high like soldiers in a Chinese military parade, and said no! After some time though, I noticed that Steve’s position on this began to shift. He was probably thinking what I was thinking – “If this is what they want, then it’s our obligation to give it to them”. So like a good pharmacy, we produced the feature to ease the pain of our clients, wrote the prescription, and clearly outlined the potential side effects. One week passed, then one month, then one year, and up till this day, we haven’t gotten a single complaint from our clients about this feature leading to an issue. On the contrary, thanks to this feature (and others), you can literally start using your skills management system in a few hours. And that is the first thing you didn’t know about creating a Skills Management System. Implementing HR systems can be an unusually complex process. Many people come to us with the mindset that getting their skills management system up and running is going to be very hard, so even before they start, they’re defeated. Quite contrarily, modern skills management systems are designed to be “Easy to use”. At Skills DB Pro, we live by those words, so we spent a lot of time, research, and effort to get you the features needed to make this as easy as possible. In Skills DB Pro, those steps are actually “import personnel” and “import skills”. To import your personnel, you can simply export their data into a spreadsheet (possibly from your payroll management system), and then import them into Skills DB Pro. We provide clear instructions and are always ready to guide you to make this a smooth process. 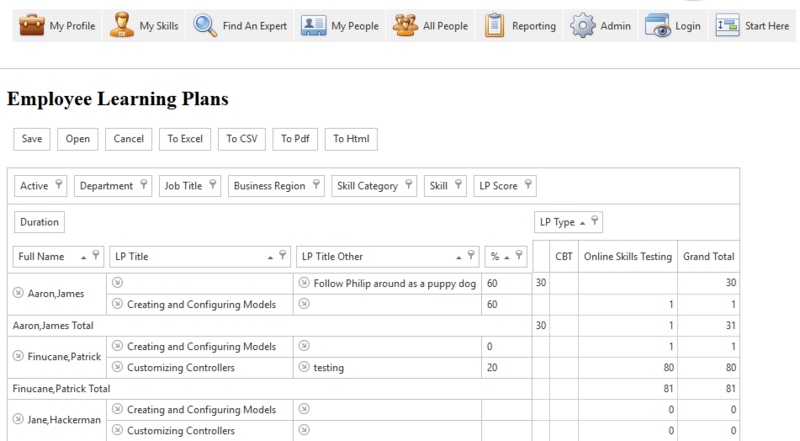 To import company skills, we provide you with a skills template in excel format. You can simply share this with department managers and have them populate it with the skills in their department. After that, you import the template into our system and all your skills information are ready to use. When setting up skills, you may also decide instead to use the feature we spoke about at the outset. Using this feature, you will need to do Zero skills setup work. 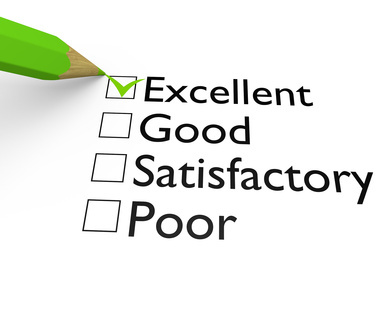 Simply import your people and allow them create the skill they want to rate themselves on. If one employee creates a skill, others would be able to see and rate themselves on that skill. So in a short time, you would have a complete skills list. 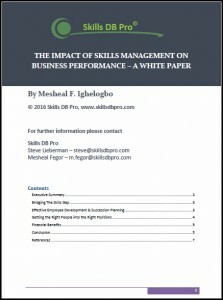 If you were looking for a way to sell top management on your need to implement a skills management system, please put down your phone, drop those papers, tell Mr. John to keep silent for a moment, and listen – “Skills Management Can Save Your Company Much Money”. For one thing, you can hardly fully utilize your people if you have no way of tracking their skills. So the first source of financial gain comes from better utilization of personnel, and this is far more important than it may seem at first. 3. Training and Succession planning without skills management is like shooting in the dark. A company I work with decided to expand a while back. Our CEO sought executives from various fields, even hiring a past executive of one of the biggest fast-food franchises. In all, four people were hired. Less than a year later, not one of the executives remained. They all washed out because the company culture was new to them, and they could hardly cope. After this happened, our CEO finally realized what she should have done all along. She started promoting from within, and our diligent operations manager quickly became a director. Ideally, most top positions should be filled via promotion. But when it comes to the issue of succession planning, many companies still do not know what they are doing. The first step in succession planning is identifying talent. A skills management system helps ensure you properly identify talents and groom them right from the beginning. Since succession takes a lot of training and mentorship, it would be counterproductive to spend all that on a less than ideal candidate. With a skills management system in place, you’d be able to identify employees who have core skills which are useful for the job, and soft skills which are needed for leadership, right from early on in an employee’s career. The system will also help management strengthen and reassess these skills over time. Without this data, if top management only relies on recommendations from people, they’re shooting in the dark. 4. Implementing a skills management system is surprisingly pocket friendly. For a system that can save many company $$ and increase talent utilization and company productivity, you might expect it would cost more right? Well it doesn’t. 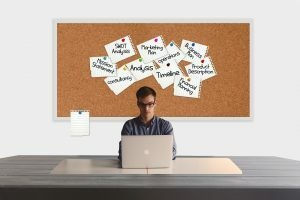 If you were planning to implement a skills management system for your company, you might have had some misconceptions about the difficulty, cost, and benefits of getting this done (many people do). I hope this post has cleared up some of those. The points made in the post are based on what is obtainable with our software, so if you would like to quicken your implementation process, please give us a call (720 457-3312), or book a live demo. We would be happy to get you up and running if our system matches your use cases. If not, you can rest assured we would point you in the right direction. In our modern business climate, companies are made or broken by the amount and kind of information they use in guiding business decisions, and each day, new ways to gather data and new applications for available data are explored. Since there is a general consensus that a company’s most important asset is its people, reliable data about people’s skills and how they relate to business goals should have tremendous effects on every company. Many companies have thus implemented skills management systems, some for more than a decade now. And so, ample time has passed to assess the impact skills management has had (and can have) on business performance. 1. Bridging the Skills Gap. 2. Effective Employee Development and Succession Planning. 3. Getting the Right People into the Right Positions.